**** CAUTION PLEASE READ before ordering**** Please do not order more coffee than you can brew or sell within a 10 to 14 day period. Unhappy customers will cost you. This is for coffee shops, and resellers. Ships within the 48 continental United States only. One Box with 40 lbs of Fresh Roasted beans. 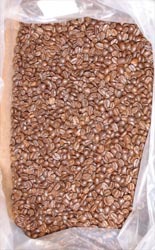 one 30lb box of fresh roasted espresso. 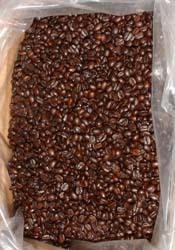 30lbs of fresh roasted Decaf Espresso. 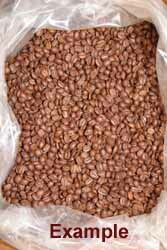 Very unique and distinctive, considered the finest of the Ethiopian coffees. Medium body, sweet and spicy. Medium acidity and lighter body than most Indonesian coffees, slightly smoky flavor. A select pick of the best Javas. Excellent Indonesian coffee grown in the highlands. Medium acidity and body. Rich, distinct flavor. Coffee of Africa, sharp acidity, medium to full body. 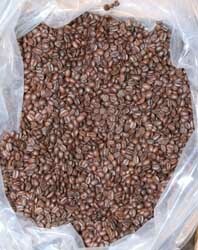 This wonderful African coffee has a rich, full body. - A deeply balanced cup.